Good customer relations are the foundation of good business. Getting to know the needs of your clients in the most effective and cost-efficient way will determine how well your sales and conversions will do. Without cost-effective and efficient ways to get to know your clients, you take away from valuable time that should be spent on other aspects of your business, such as generating leads, marketing, and sales. Automating these processes will improve and simplify your customer relations and help you grow your business. Customer Relationship Management, or CRM, is a software solution that will increase efficiency in the way you build relationships with your clients to ensure that they will be satisfied with your services and return for your business. Getting to know your clients helps them relate to you and keeps them informed on how you can provide them with the best service. 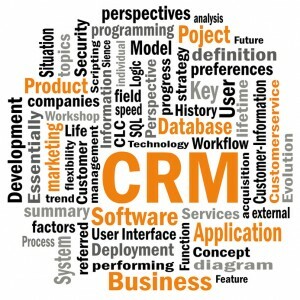 CRM provides technology and tools to assist you in knowing your clients and their needs in a more productive way. Automate processes such as Sales, Marketing, and Customer Service, and make these processes more productivity driven and easier to use. Customer Support and Appointments are made simpler by implementing an effective, easy, and accessible CRM Solution. With the appropriate CRM Software, you can ease the process of getting to know your customers, helping them find what they are looking for, and ultimately achieving your business goals. Generate more business by spending less time training employees and spending more time learning your customers’ needs. Rather than tracking leads manually, utilize effective CRM Solutions to promote sales and marketing to your clients. CRM Software will guide your customers, help them find solutions via your Web site, and point them in the right direction. Turn leads into conversions, and conversions into repeat business when you streamline your services with CRM. Leverage the best solutions for customer needs and problems, increase support, and identify areas where your service may need improvement. With additional employees, these things can be time-consuming and costly. Customer Relationship Management software replaces these man-powered services with automated systems which are easier to use and more cost-efficient. Grow your business by implementing professional CRM solutions today!